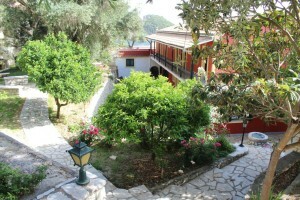 Are you looking for a accommodation in Greece? 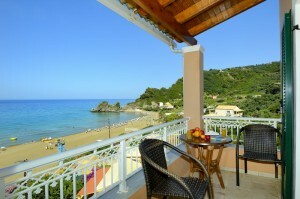 We offer villa’s, hotels and appartments in Pelion, Corfu and Crete. 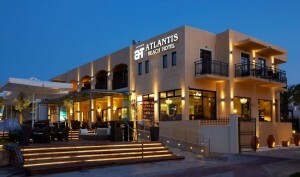 A pleasant hotel located very close to the airport and within walking distance of restaurants and sea front. 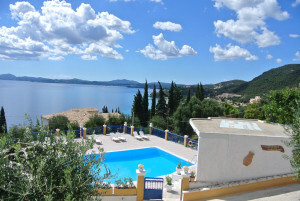 These two identical villas offer luxurious accommodation close to an unspoilt beach in the south of Corfu island. 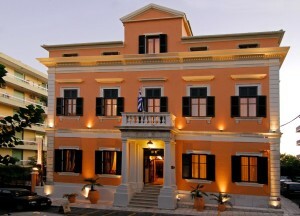 A four star hotel approximately 3km to the center of Corfu Town promising high quality service. 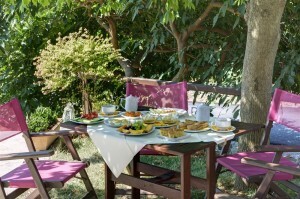 Villa Emmy, a charming cottage located close to the popular resort of Paleokastritsa, is set in peaceful surroundings with on site private parking. Harris apartments, located just 50m from the beach of Acharavi and a short walk to the center, offer comfortable accommodation in pleasant surroundings. 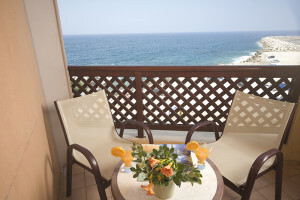 Comfortable rooms with fabulous sea views from the balconies and poolside. 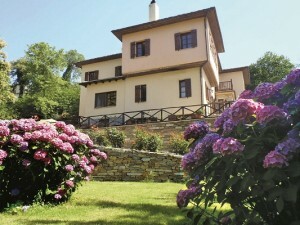 Villa Kerasia awaits you in the picturesque mountain village of Milies, for a relaxing and carefree vacation. 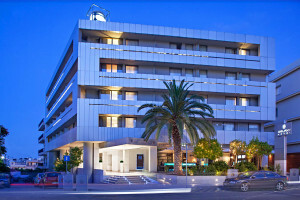 Hotel Xenia in Volos, in a radically renovated environment awaits you to spend your holidays. Hotel Ainareti in Kala Nera, with its green gardens between its two buildings, offers close proximity to the beach and its staff will cater to all your needs. 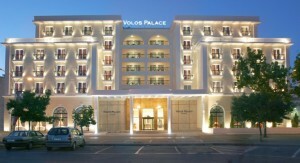 Built in 2004, the Volos Palace hotel is tastefully decorated in contemporary design and equipped with all modern amenities. Right next to the sea in the resort of Kala Nera, Minelska awaits you for a luxurious stay. This complex of newly built maisonettes await you near the beach of Kala Nera to make you enjoy the sights and experiences of Pelion. 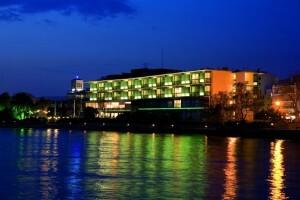 10 rooms of immaculate design and stunning views await you in the Belina hotel in the center of Portaria. 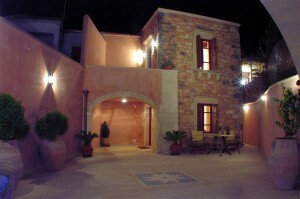 Fully renovated, with respect to its history, Archontiko Naoumidis offers holidays to remember. 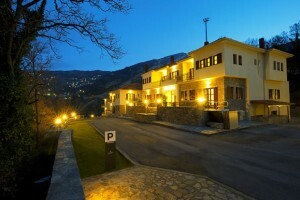 This newly built hotel between Portaria and Makrinitsa will dazzle you with its views of Volos and mount Pelion. The Valeni Boutique Hotel (for couples and adults only) enables you to relax and appreciate the art on display, combining art with relaxation. Situated right in the middle of mount Pelion, the mansion Iris blends pefrectly in nature, and can help you unwind and relax, refreshing your body and mind. Inbetween the luscious green of the earth and the blue of the sky, in Tsagarada, you will find Guesthouse Amanita. 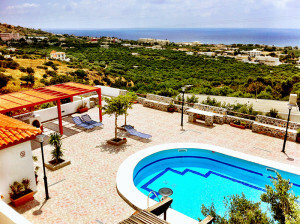 Offering a variety of rooms and suites, and close to the famous Milopotamos beach, Aglaida Hotel is perfect for holidays off the beaten path. Located near the main road of Koropi, Iakovakis Suites & Spa is the perfect place to simply sit back and enjoy the best that nature and man can provide. In the middle of South Pelion, Hotel Enalion and its staff will tend to your needs and help you relax either in the hotel's pool, or in the sea which is close by. 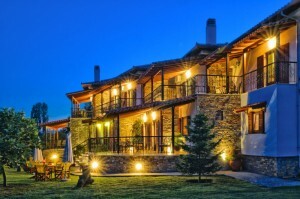 Joining spectacular views of Volos and a traditional architecture, Archontiko Argyro offers unforgettable holidays. 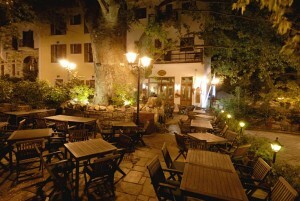 Situated right on the main square of Portaria, Hotel Kritsa will dazzle you with the delicacies of their cuisine. Like a precious stone on the mountain, Stevalia will rejuvenate your senses in the Spa and make your stay as comfortable as possible. Hotel Xenia Portaria, with spectacular views, serves as a starting point, to either visit the coastal region of Pelion, or relax and enjoy the sun in the pool. 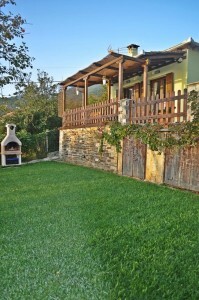 Tsagarada house offers great views of mount Pelion and of the sea, accommodating up to 6 guests. 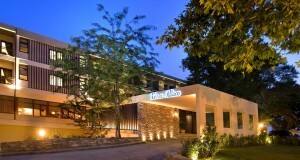 The six rooms that guesthouse Olga offers, along with its lush green garden will enable you to enjoy your stay. 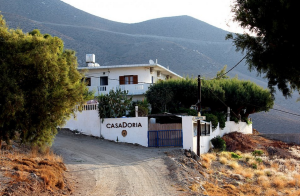 In Agioi Taksiarhes, in Tsagarada is home to Guesthouse Amalthia, ready to accommodate you in a warm and friendly environment. Constructed in the 1900's and fully renovated, with its view of the port and closeness to the tsipouradika in Volos, will contribute to your finest holiday. 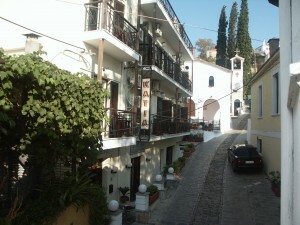 Between the lush green nature of Pelion and the crystal clear waters of the Pagasitikos Gulf, you will find Hotel Leda. Located next to the blue waters of the Pagasitikos Gulf with easy access to the rest of Pelion, Diplomats Holidays offers a vacation experience you will not soon forget. 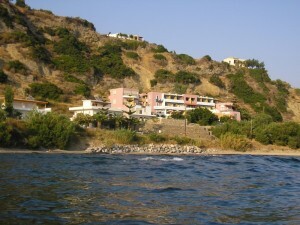 Agios Georgios with its great location and spectacular view promises an unforgetable experience. 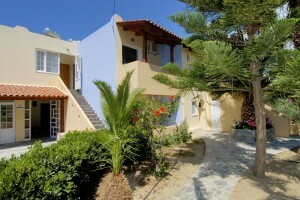 Enjoy your vacation in the luxurious rooms and by-the-sea location of Six Keys, in Afissos. 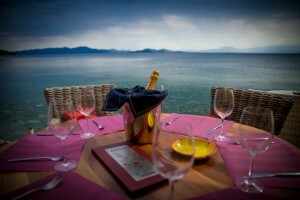 The perfect place to relax while enjoying the stunning views of Afissos and the Pagasitikos Gulf. 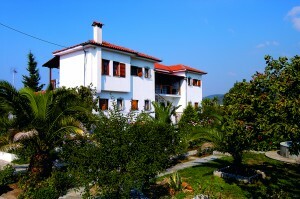 These stylish studios in Afissos offer comfort and are close to the beautiful beaches of south Pelion. 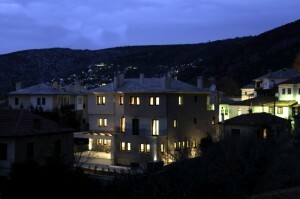 For every time of the year, Villa Nikolaou await you in Tsagarada with its two separate stone built houses. 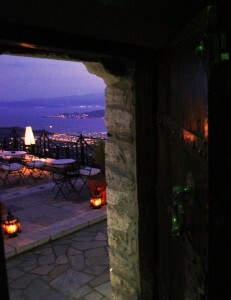 A traditional guesthouse of the 1800's, with its amazing views of Volos and the Pagasitikos gulf. 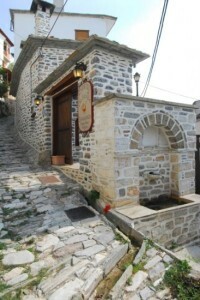 Great service and wonderfull surroundings make Archontiko Karamarlis a must for those who seek peace, and at the same time being close to the city. 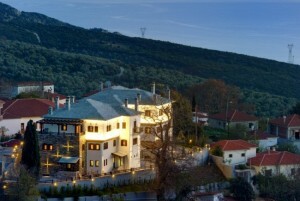 Built at the side of the mountain, the 12 Months Luxury Resort is the ideal choice for peace and relaxation in Eastern Pelion. 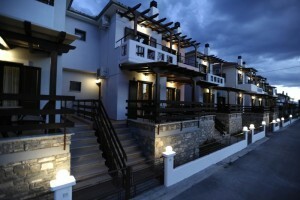 The two villas are built with the same style and are both well equipped. Each villa is 120 square meters and can accommodate up to 6 people. 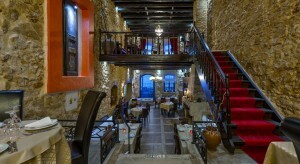 Rimondi Boutique Hotel is housed in a building dating back to the Venetian occupation of Crete. It consists of two buildings: the Palazzo Collection with 20 rooms and maisonettes and the Estate Collection with 13 suites. 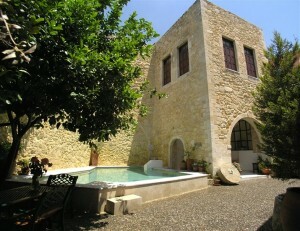 Villa Maroulas is a historical monument which dates back to 1426. 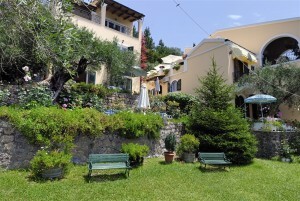 A completely renovated villa that has preserved the details of the past combined with all the modern comforts. 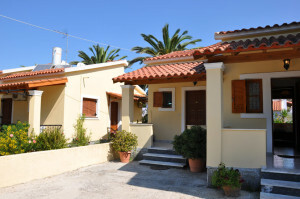 Erato is located on the outskirts of Plakias and consists of ten identic studios and an apartment all beautifully decorated in fresh pastel colors. Relax by the pool and enjoy the magnificent view. 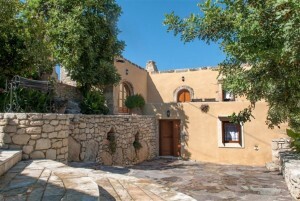 In the small village of Atsipopoulo, just outside of Rethymno, lies Calergi Residence. 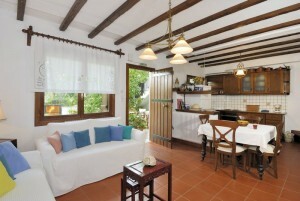 The residence is managed by the hospitable Calergi family and consists of 10 apartments and 4 studios. 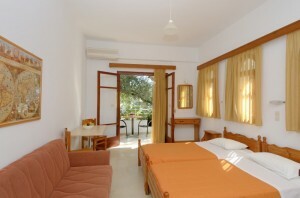 This accommodation is centrally located and the hustle and bustle of the cozy centre of Plakias is just around the corner. 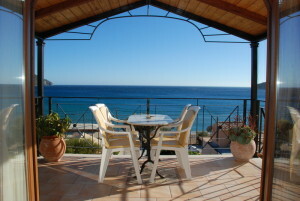 The owners, Zoí and Ioánnis create a special atmosphere in their accommodation. 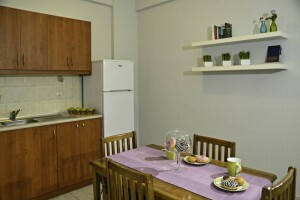 The studios are extremely comfortable and the proximity of the nearby tavern helps to ensure you have a pleasant stay. On top of the cliffs, with a stunning view over the Libyan sea lies Panórama. 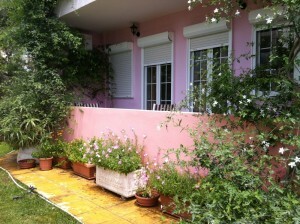 It has one apartment and four comfortable studios, all stylishly decorated. Gerani Villas includes four spacious and modern villas ideally situated on a hill overlooking the village of Gerani near Rethymno. Albatros nestles amongst the olive groves at the beginning of the village of Plakias and has a wonderful view across the Libyan sea. 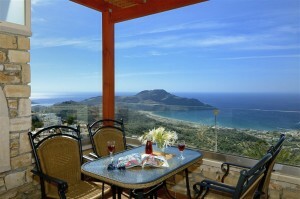 Anemos is situated on the hilltops of Plakias, resulting in a stunning view from all the balconies. There are a total of six apartments. The owner of the accommodation lives in the same building on the top floor. On the outskirts of Plakiás surrounded by the mountains lies Anemóni. The owners of the accommodation live on the ground floor of the building and are always there to make sure that you have a pleasant stay. 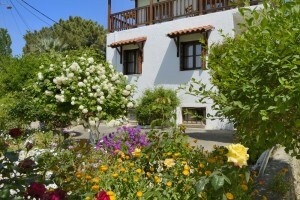 Amidst a beautiful garden and the stunning surroundings of the Psiloritis mountain lies the gorgeous villa Agni. 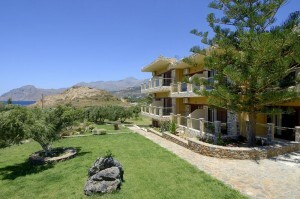 The numerous terraces around the villa offer you a wonderful view of the surrounding mountains. Located in an area full of fruit trees and olive groves, within a mountainous landscape lies the beautiful Villa Melitta. 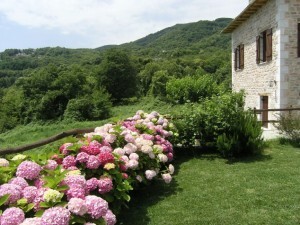 The villa was built in accordance with tradition but is also equipped with all modern-day conveniences. Amidst impressive cypress, olive trees and old oak trees lies the Vederi Estate. 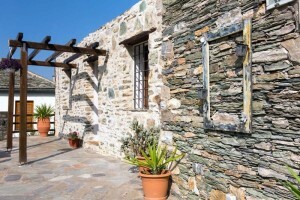 The three traditionally built villas Kyveli, Alkioni and Kalipso can be found on the edge of the village of Vederi and can accommodate 2 to 6 people. 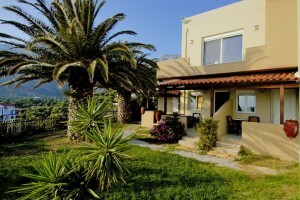 This stylishly decorated villa can accommodate 2 to 4 people and is located on the edge of the village of Lefkógia. This modern yet cozy villa emits peace and tranquility. Villa Lemonia is located in the beautiful and tranquil area of Lefkogia, in a mountainous area amidst olive groves with splendid views of the unspoiled nature and in the distance the bay of Plakias. 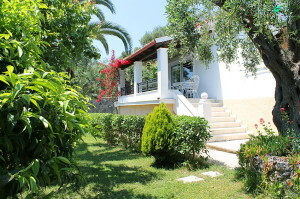 This luxurious villa is situated in the beautiful area of Lefkogia and is equipped with all modern comforts. 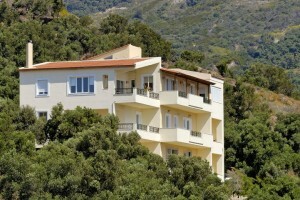 It has a stunning view, overlooking the mountains, the olive groves and in the distance the bay of Plakias. 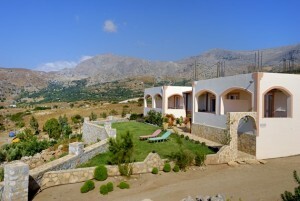 Villa Ariadni is located in the village of Sellia, in the south of Rethymno in the island of Crete. 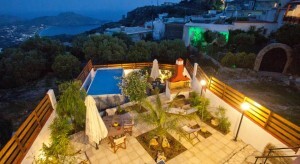 It is built in an amphitheatric spot with a majestic view of the Libyan sea and the coastal village of Plakias. 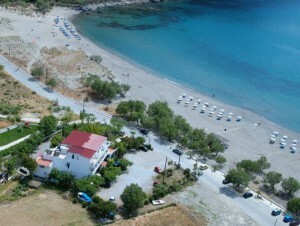 Medousa is located only 70 meters away from the beach of Plakias. A picturesque fish village in the southern shores of Rethymno, Crete with beautiful beaches with turquoise waters. 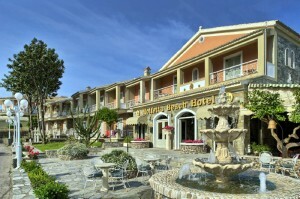 Veneto Hotel is one of the most elegant and stylish boutique hotels in Rethymno. 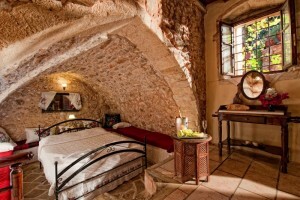 With 10 unique rooms decorated with a respect in architecture and history with wood, stone and blown glass. 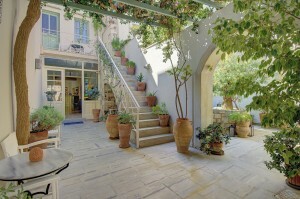 Joanna Studios is located in the peaceful village of Plakias in the south of Rethymno. 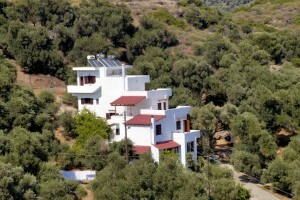 Built onto a small hill with a unique view of the bay of Plakias and the newly built port. 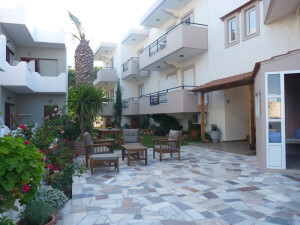 Helios apartments is a small hotel with apartments located in the coastal village of Plakias that manages to blend harmonically the traditional family atmosphere along with a modern and friendly environment. 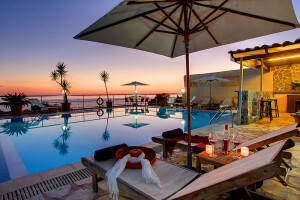 Galaxy Hotel is a 5-star city hotel in Heraklion, Crete which offers modern facilities combined with a warm and professional service in its 127 rooms (Superior, Executive and Suites). 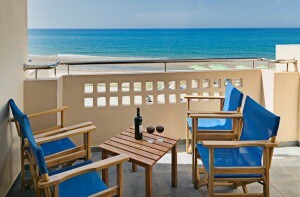 Hotel Esperia is located in Rethymno’s beach front along the long and beautiful sandy beach of the city. 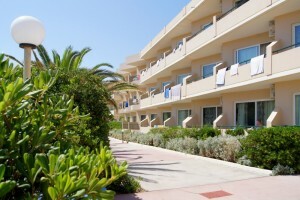 You can relax on the sunbeds of the organized beach or by the pool and snack bar. Creta-spirit apartments is located in southern Crete, between the coastal village of Plakias and the beautiful bay of Souda. Beautiful beaches and stunning sunsets are waiting for you. 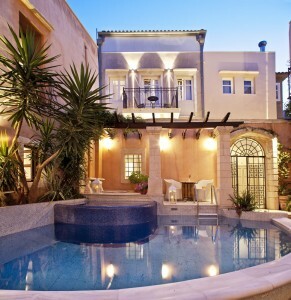 Casa Vitae Hotel is located in the old town of Rethymno. A Venetian mansion built in the late 16th century with eight luxurious renovated suites which will travel you back in time with a mix of Venetian and Ottoman architecture. 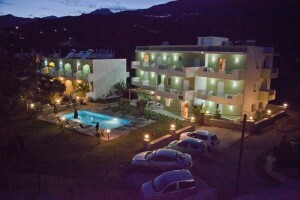 A cosy apartment complex “LIVADI apartments" in a peaceful area of Plakias. 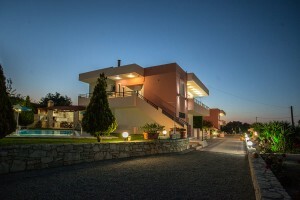 The complex “LIVADI apartments” can be found within a 2-3 minutes walk from the main square and beach of Plakias yet it is set in quiet surroundings. 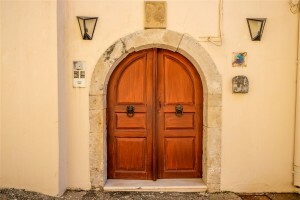 Palazzo Vecchio Exclusive Residence is a small, romantic and beautifully furnished hotel in the quiet end of the old town of Rethymno below the Venetian Fortress “Fortezza”, 50 meters from the Mediterranean Sea. 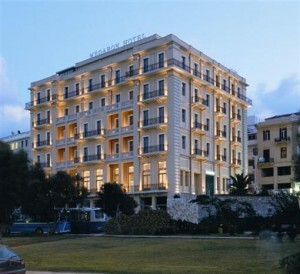 The GDM Megaron luxury hotel is located in the heart of Heraklion overlooking the harbor within walking distance of all the major sights of the city. 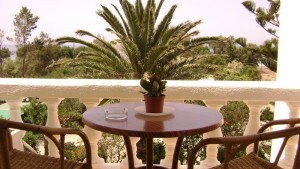 Manolis Apartments welcomes you to sunny and beautiful Crete, an island of unique and unforgettable experiences. It’s a small family business of brand new apartments and studios. IKAROS combines the renowned Cretan hospitality with a clean and relaxed environment between the olive trees and guarantees a pleasant stay. 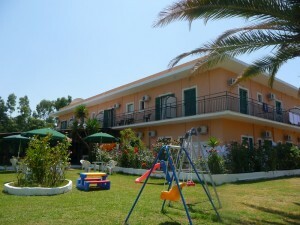 Seafront apartments is a small family business and has three different buildings, located from the road until the sea. Family Koulakis will be more than happy to welcome you. Achillion Palace is a four-star hotel that provides the highest standards in accommodation along with friendly staff who will always be there for your needs. 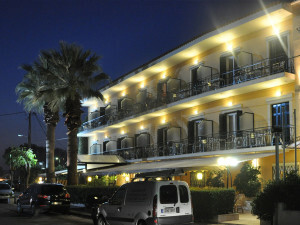 Avli is located at the historical center of the city of Rethymno and includes 12 suites, each one with a different style.